A.F.VANDEVORST is a Belgian fashion brand, based in Antwerp. Designers An Vandevorst and Filip Arickx met in 1987 on their first day of school at the Royal Academy of Fine Arts in Antwerp. 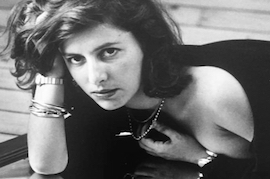 An Vandevorst was Dries Van Noten's first assistant for six and a half years. She was the very first to come out of Mr Van Noten's maison. Ten years later, they set up their company Blixa and presented their first collection as A.F.VANDEVORST in Paris. The collection already included all of the references and inspirations that came to play a defining role in the brand over the past 20 years: Joseph Beuys, the red cross, religion, horses and horse-riding accoutrements, rivets, lingerie, uniforms and fetish shoes. The designer duo is known for their many collaborations, unique installations and artistic pursuits. From Biennale-installations to traveling guerrilla stores, their work has been critically acclaimed around the world. 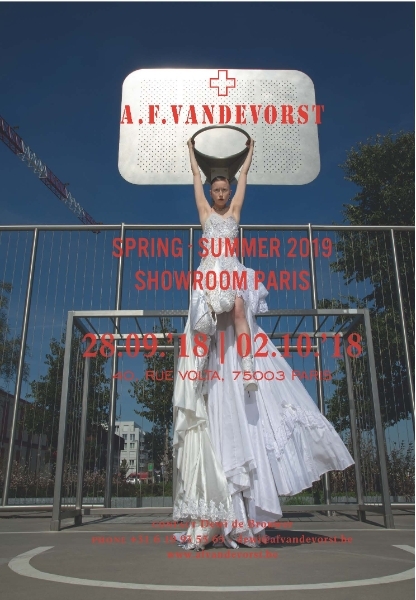 In line with their artistic focus and dedication to craftsmanship, A.F.VANDEVORST is proud to show their work during Haute Couture in Paris. The flagship store - designed together with the Antwerp-based scenographer Bob Verhelst - is based in the heart of Antwerp. Not only did it become a personal statement about the essence of the brand, it also creates a space to welcome costumers into the A.F.VANDEVORST universe. In 2018, A.F.VANDEVORST was working on retrospective exhibitions and on the 24th of January presented "ENDE NEU" at Galerie Yvon Lambert in Paris, a retrospective book that celebrates the brand's 20th anniversary. "ENDE NEU" is a song from Einstürzende Neubauten that we used for our Spring/Summer 2001 show. It means "an end" and something "new".